An extreme powerful Ethernet-to-DMX converter with a custom merging engine for pro lighting solutions. Convert ArtNet, sACN, RTTrPL (BlackTrax) … to DMX and easily come with up to 300 universes. Load pre-configured set-up profiles through the easy-to-use web interface. This lightweight DIN-rail unit is designed to mount on a typical 35-mm DIN-rail for fixed installations. With custom merging you can control specific paramaters of fixtures with different sources. Setup, manage and monitor all your lighting devices from one central place: LumiNet Monitor. Don’t worry about power plugs anymore. 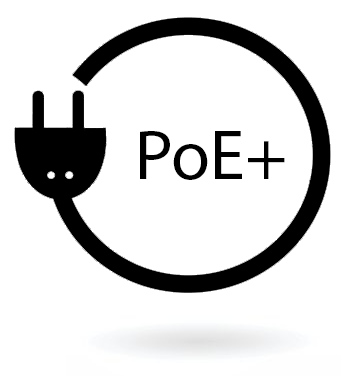 This Ethernet-DMX unit can be powered through PoE or/and with direct power. Stop limiting your creativity by technical restrictions. 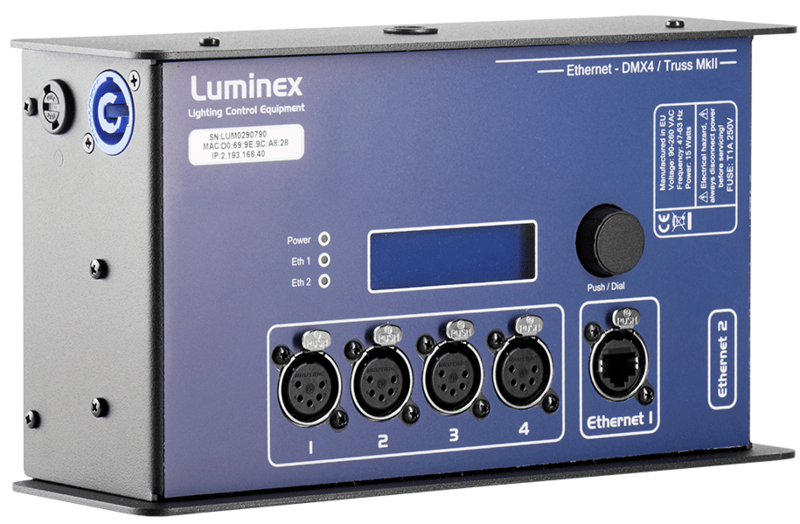 Luminex Ethernet-DMX converters are extreme powerful nodes designed for professional lighting projects. 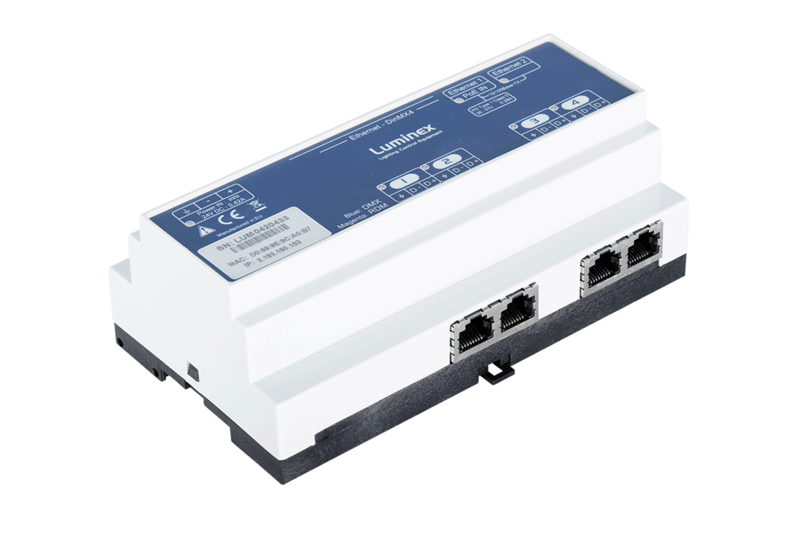 The powerful processor that can cope with up to 300 universes, the engine for custom merging and the re-routing feature for visualising merged results make the Ethernet-DMX converters very high-end and truly unique products. Don’t worry about power plugs. Full RDM support: never climb the truss again. 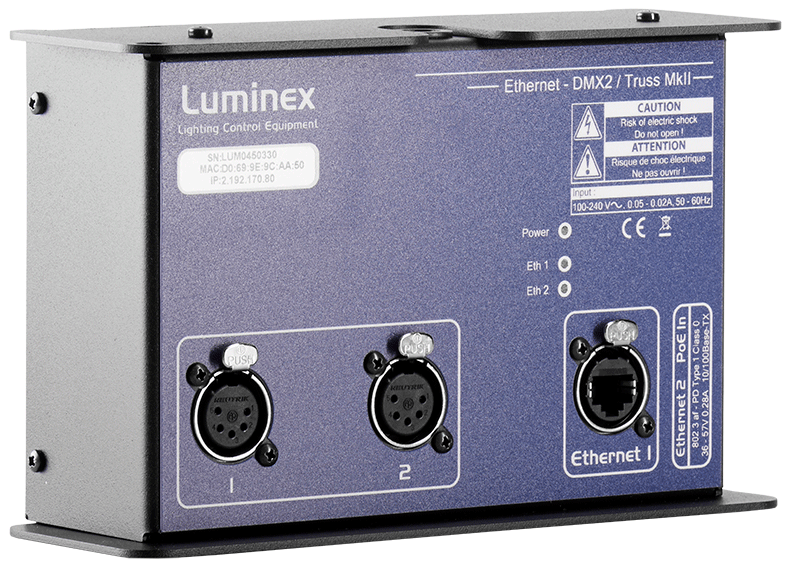 All Ethernet-DMX units fully support all RDM features, which enable users to setup, manage and monitor every connected unit directly from LumiNet Monitor or any other RDM controller. 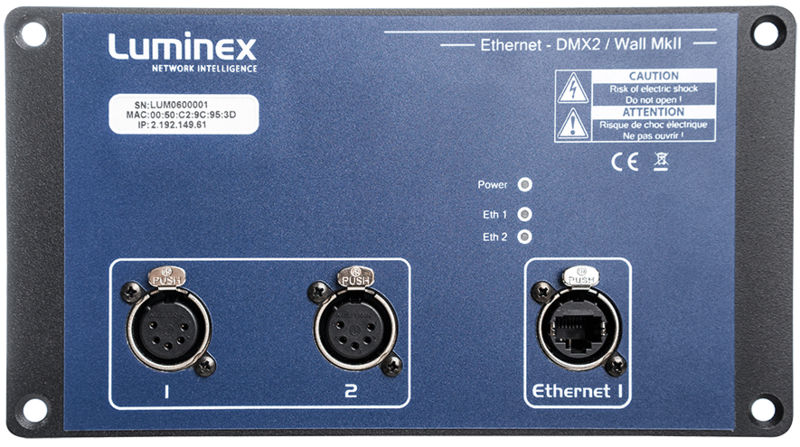 The Ethernet-DinMX4 is the DIN rail edition of the Ethernet-DMX4 MkII converter. The unit offers four DMX ports and two Ethernet ports for an easy network connection. The four DMX connections are available through terminal blocks (RJ45 as an option). Art-Net, sACN and RDM protocols are available. All these features make this product ideal for architectural and fixed installations. LumiNet Monitor is a free software pack that will increase the comfort of working with Luminex equipment and together with the easy-to-use web interface for Ethernet-DMX converters, it adds high value to your project monitoring and preparation. Finally found the product that is going to make your job a lot easier? Discover our worldwide network of distributors and resellers or contact sales@luminex.be!